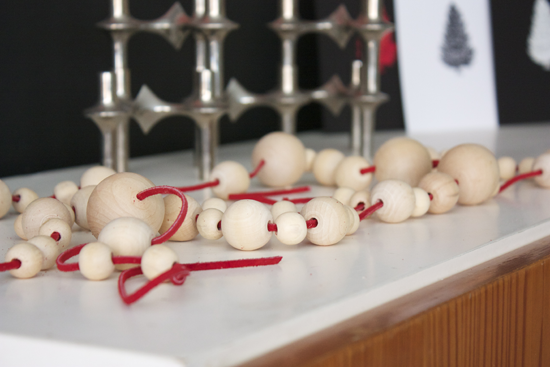 I made a garland of wooden baubles. Why? 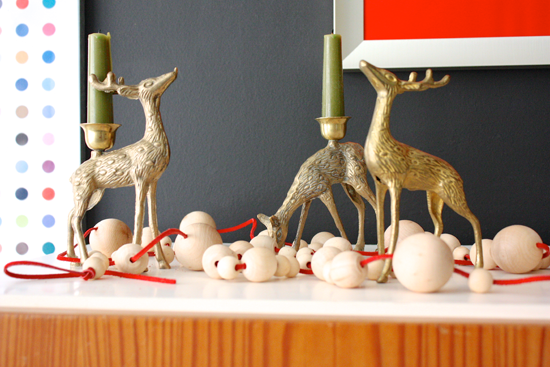 Once upon a time, when people only read magazines made on paper, I tore out an image from Real Simple. Since then, it has made its way to all the digital formats like Pinterest etc.. and I still like it after all this time, so maybe this is the year I actually do something about it? OK, then. Here are the original shots, back when Hable Construction textiles (see the napkins) were all the rage. 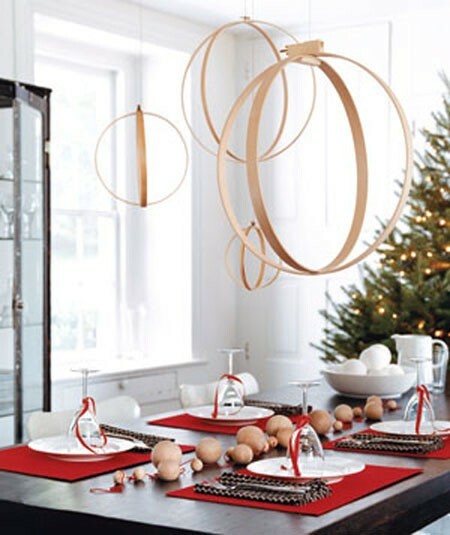 The simplicity and crispness of this styling still works for me and I wanted to make that wooden garland the minute I saw it. 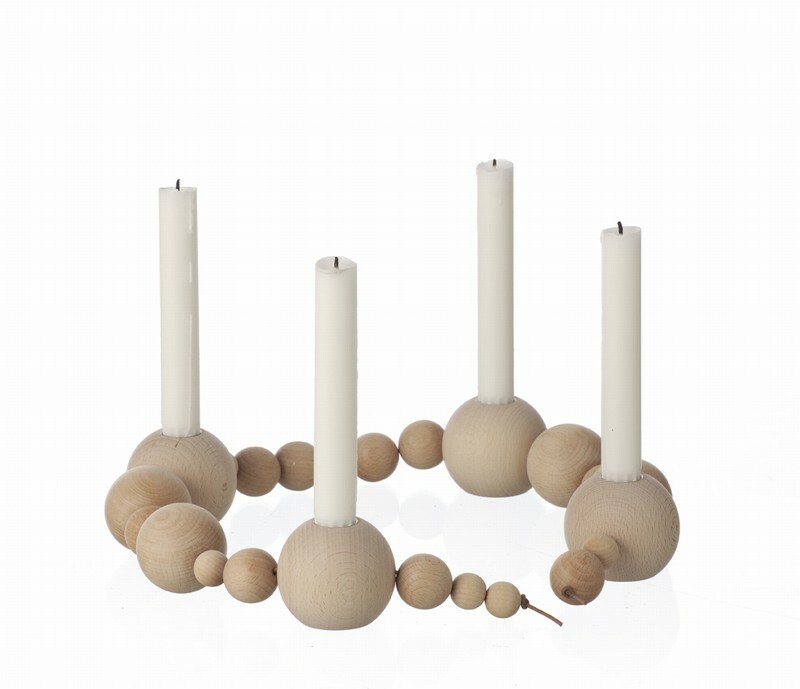 When everyone was going ape about the Ferm Living candleholder, I remembered this tablescape and knew it was time. 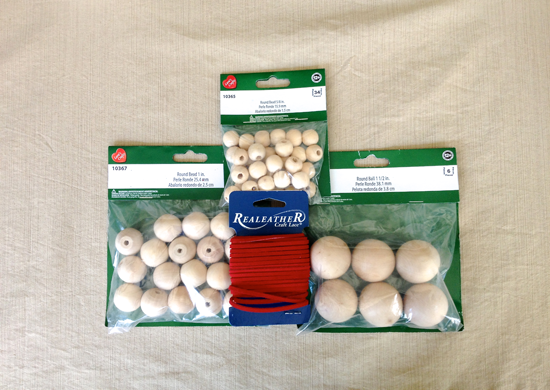 So, I braved Michael’s during the holidays to gather my supplies. Instead of red string, I decided to try this red suede cord. 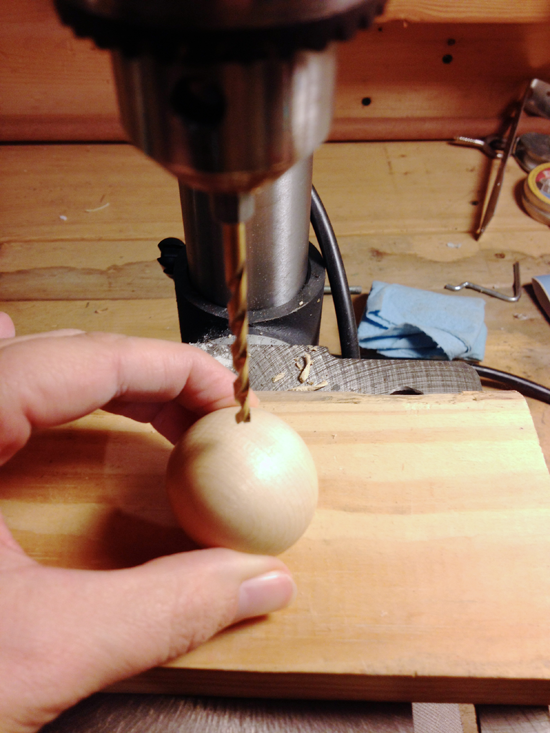 The larger balls were not drilled, so I had to do that myself. 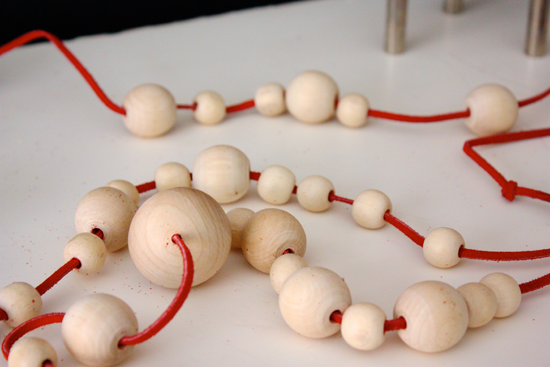 Luckily the CC has a drill press he lets me play with now and then. 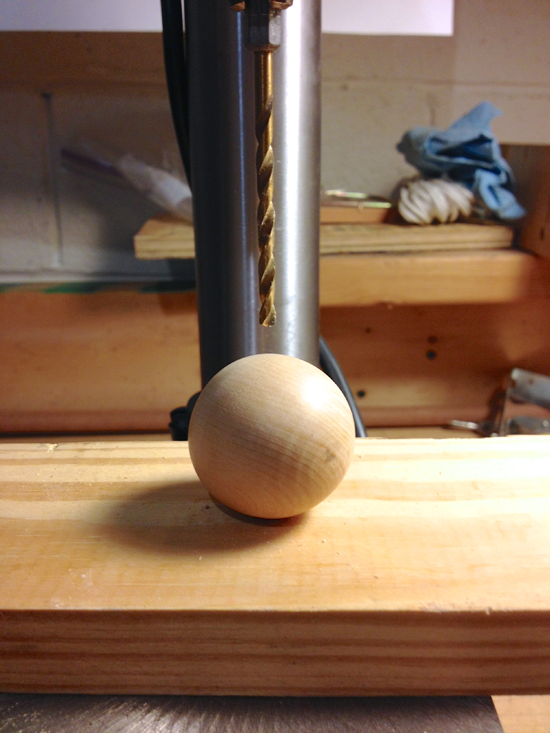 Without a vise, I had to hold the balls in place and hope I could stay on center. 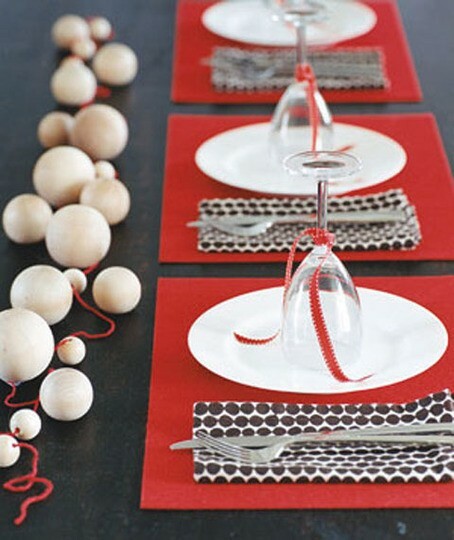 Then, I strung them all up on the cord very loosely.Â I don’t know yet how I will arrange the table for Christmas, so I decided to err on the side of caution. I can always tighten, but can’t add length once it is cut. It was super simple and quick to put together. I might have to go to the woodcrafters shop and look for other woods. I’d also like to see if I can find even bigger spheres since the biggest ones at Michael’s are still smaller than the RS balls, but if I don’t have time for all that, I’m still happy knowing I can add on and tweak later. You can see above that the red suede is creating a dust, but I’m hoping that’s just a temporary settling in thing. It might be a problem for someone using a white tablecloth.